Last year, 69 percent of the members who registered with Costco Auto to buy a vehicle under the promotion actually purchased one. Costco’s auto sales arm is predicting that its members will purchase at least 52,000 new Buick, Cadillac, Chevrolet and GMC cars and trucks under a special 90-day promotion that will run Oct. 2 through Jan. 4. That is 20 percent more than 43,400 new General Motors vehicles that members of the warehouse giant purchased under a similar promotion with the automaker last year, said Gina Paolino, president of Costco Auto Program. Last year, 69 percent of the members who registered with Costco Auto to buy a vehicle under the promotion actually purchased one, she said. As with previous special promotions with GM, Costco members are offered vehicle prices that are equivalent to those available to employees of GM suppliers. Paolino based her sales projections on falling gasoline prices, the popularity of the vehicles offered in the promotion and the additional lure of a $300 or $700 Costco Cash Card for select buyers who complete a survey. “The projection of 20 percent growth is a modest estimate based on the history of our previous special offers with vehicle manufacturers and our track record for our everyday program,” Paolino said in an email to Automotive News. Costco Auto regularly offers prearranged prices on new and certified used vehicles of various automakers for members through a network of more than 3,000 new-car dealerships. 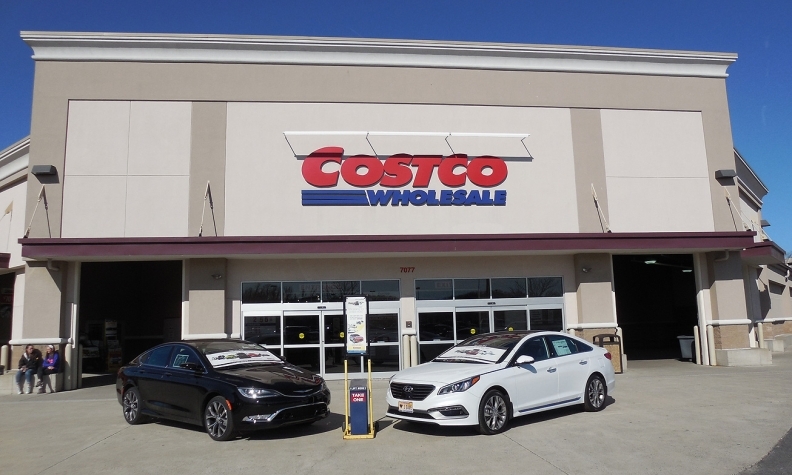 Costco Auto opened the 90-day promotion to dealerships beyond the 300 GM stores that are part of its standing sales program. About 2,300 GM dealerships have been approved to participate. A variety of 2015 and 2016 GM vehicles are included in the GM promotion, including the top three most-requested vehicles by Costco members from each GM brand. Those top three requested vehicles by brand are: Buick Enclave, Encore and LaCrosse; Cadillac ATS, CTS and SRX; Chevrolet Silverado, Cruze and Tahoe and GMC Acadia, Sierra and Yukon. Costco Executive members who buy a vehicle under the program and complete a customer-satisfaction survey will receive a $700 Costco Cash Card; Gold Star and Business members who buy a vehicle and complete the survey receive a $300 Costco Cash Card. Executive members pay a $110 annual warehouse membership fee and are rewarded 2 percent of the amount they spend on some purchases up to $750. Gold Star and Business members pay a $55 annual membership fee. They are eligible to upgrade to Executive status to receive the additional $400 cash card. The cash cards are on top of other rebates and incentives for which they are eligible. In previous promotions with GM, the gift card amounted to $500. The company said the change in the cash card amount is to generate interest in its upgraded membership categories.